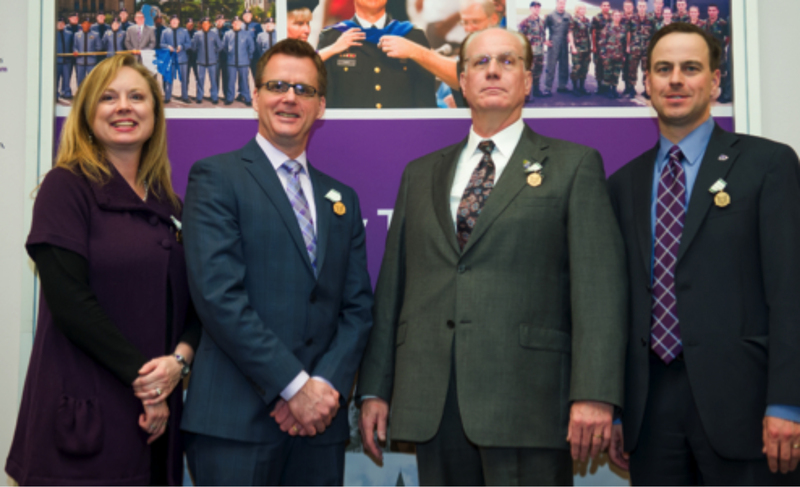 As we enter into our 5th year, it is a good time to reflect on our focus in 2014 for the Institute for the Health and Security of Military Families at K-State. I am pleased to have outstanding colleagues and an Institute Advisory Board, comprised of military families, service members, and professionals, who help guide our mission and purpose. I also have to remind myself that we are really a very NEW Institute, in the grand scheme of things, and also have to be reminded to not attempt to do it ALL! (Often my goal!) 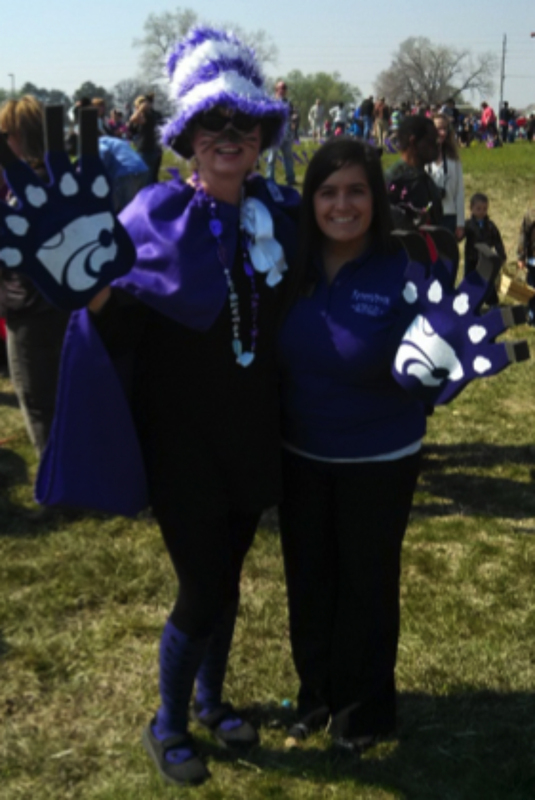 But with great advisors and wonderful staff, it helps keep me balanced. I truly enjoy every day, which most days do not seem like doing “work” (occasionally it has its stressors but those are relatively infrequent, luckily!). Serving military families in the Flint Hills region has continued to be a primary focus of our work, with continuing partnerships with Fort Riley and the 1st Infantry Division and the Kansas National Guard, as well as other developing partnerships with academic programs, nonprofit organizations, and others whose mission is similar and whose enthusiasm for the work with military personnel and their families is unending. It also is reinforced on an almost daily basis of the importance of our work and the continuing need for programs to assist our military and veteran service members and their families. Their mission continues, as does ours. Thank you for your support of the Institute and we wish you a very blessed 2014…Lots more to come! 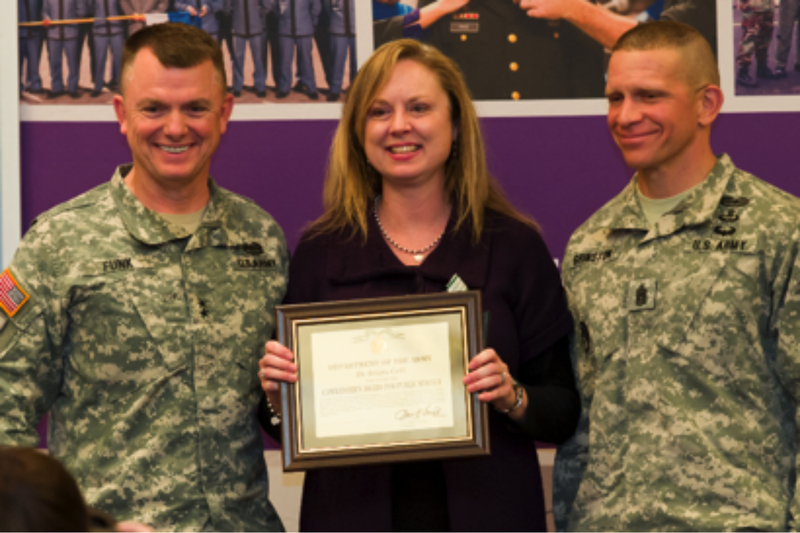 Briana Nelson Goff, professor of family studies and human services and director of the Institute for the Health and Security of Military Families, was honored at the K-State Alumni Center with the Department of the Army Outstanding Civilian Service Award. 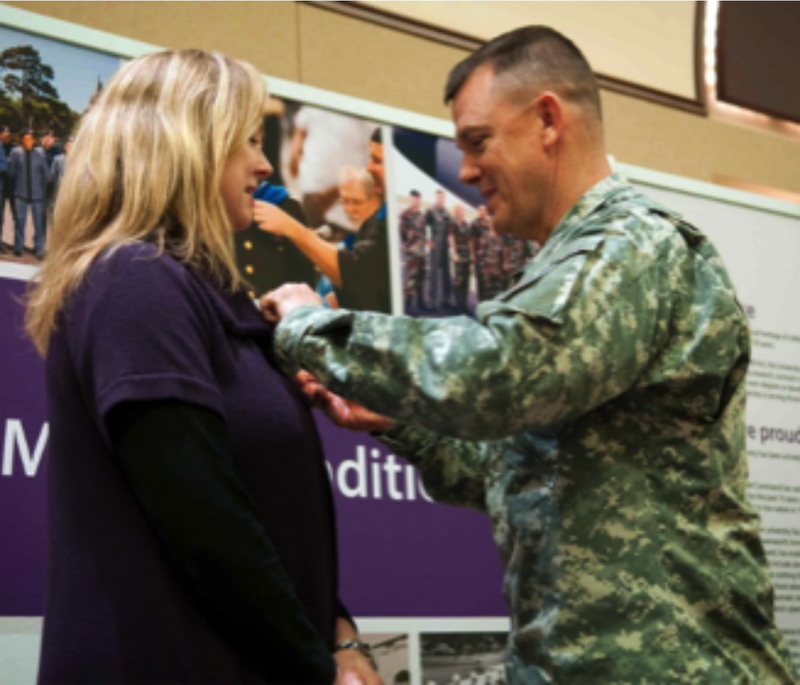 Maj. Gen. Paul Funk, commanding general of the 1st Infantry Division at Fort Riley, and his senior leadership team presented the medal in recognition of her distinguished service to the U.S. Army as a leading member in the K-State-Fort Riley partnership. Others from Kansas State University being honored were John Currie, K-State athletic director; Todd Holmberg, executive director of McCain Auditorium; and Daryl Youngman, associate professor of K-State Libraries. The Institute for the Health and Security of Military Families addresses the health and resiliency of military personnel, veterans and their families after the battle. Nelson Goff and her team develop and manage programs such as specialized training on working with military families, comprehensive research on military family issues and services to the State of Kansas and the nation that address current and future needs of military families. The Institute is in the School of Family Studies and Human Services in the College of Human Ecology, which is home to a unique cadre of scientists from diverse programs addressing the health and well-being of military personnel and veterans. 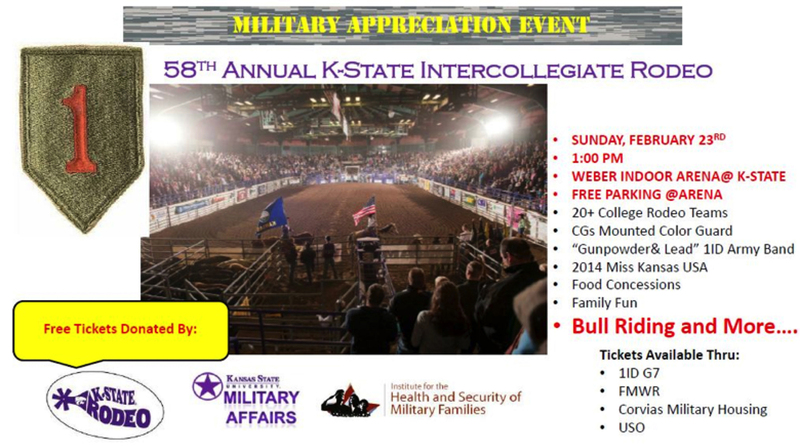 On Sunday, February 23, 2014, the Institute for the Health and Security of Military Families hosted an informational booth at the Military Appreciation Event, held at the 58th Annual K-State Intercollegiate Rodeo. Several hundred tickets were distributed to military members and families in the area, who attended the rodeo. In addition, Miss Kansas USA Audrey Banach and Miss Kansas Teen USA also were in attendance, greeting Rodeo guests. Dr. Mary Bell: Game Changers: How Soldiers’ Rank and Deployment Status Affect Their Financial Behaviors, Knowledge, and Anxiety. Closing comments were provided by Dr. Beth Funk, wife of the Commanding General of the 1st Infantry Division, Fort Riley, Major General Paul Funk, and Adjunct Faculty, College of Education, Kansas State University. The Easter Bunny hopped by Corvias Military Housing’s Spring into Fun event on Friday, April 18 at Rally Point Field, Fort Riley. The Institute held an information booth along with a “special guest”—The WILD-Cat in the Hat (who looks mysteriously like our Director?!?! Is that Dr. Goff???). Activities included egg hunts by age group, face painting, crafts, train rides, games and interactive activities, prizes and a petting zoo. It was a great day with several hundred military kids attending. Unfortunately the annual Month of the Military Child (MOMC) Festival that was to be held at Fort Riley on Sunday April 27th had to be cancelled due to inclement weather. Stay tuned for more opportunities to see the WILD-Cat in the Hat at future events! Since 1998, the Trauma Research, Education, and Consultation at K-State (TRECK) Team has been involved with conducting a variety of trauma-related research projects. Under the direction of Dr. Briana Nelson Goff, research teams have been involved in research on military couples related to the TRECK Research. A mixed methods research design has been used in all phases of the TRECK Research, which has included quantitative questionnaires that identify post-traumatic stress symptomatology in both partners and quality of the current couple relationship. The qualitative interviews focus on the interpersonal impact of trauma on the couple relationship, intrapersonal effects of trauma exposure on both partners, and current relationship functioning. A total of 50 military couples were recruited from Fort Riley, Fort Leavenworth, and other areas of Kansas to understand how their war deployments to Operation Iraqi Freedom (OIF) or Operation Enduring Freedom (OEF) impact the soldiers, their partners, and their couple relationship. Since 1998, over 100 students have been involved with the TRECK Team research projects; 65 of those students have been undergraduate researchers. Undergraduate students have been involved in data entry, interview transcription, data analysis, research presentations and manuscript development. The qualitative analysis teams have included undergraduate research assistants participating in the data analysis of the interviews. Kathryn Hartman, Kali Summers, Devon Perkins, Laura Walker & J. Kale Monk (manuscript submitted for review). Trauma disclosure in military couples: A comparison of trauma symptoms and relationship quality. 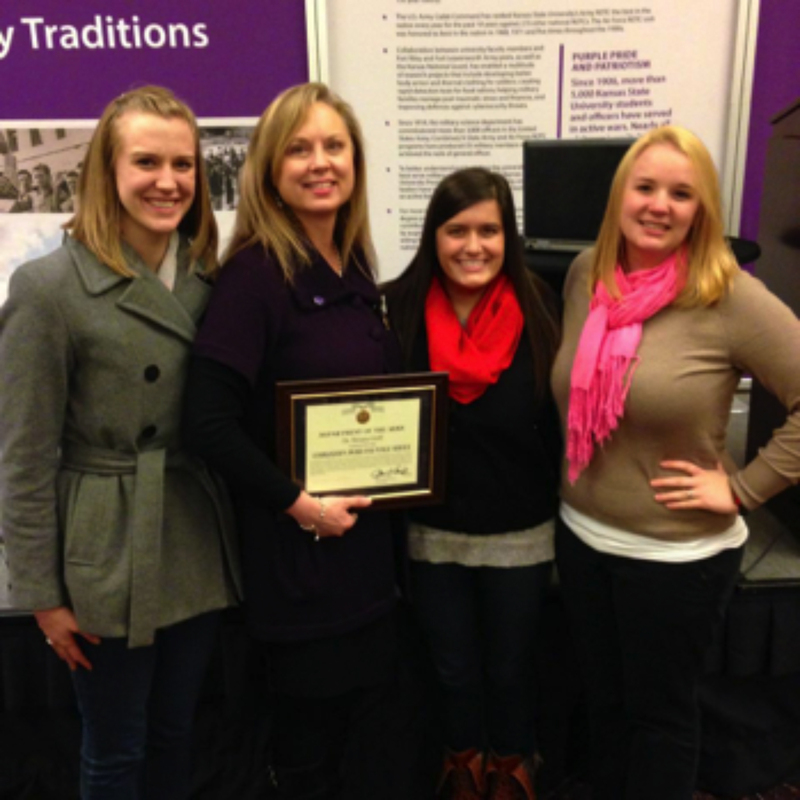 Research team project, Kansas State University, Manhattan, KS. Kali Summers, Kathryn Hartman, Alex Billings, Megan Chevalier, Haley Hermes, Devon Perkins, Laura Walker, & J. Kale Monk (manuscript in process). Trauma disclosure and deployment experiences in military couples. 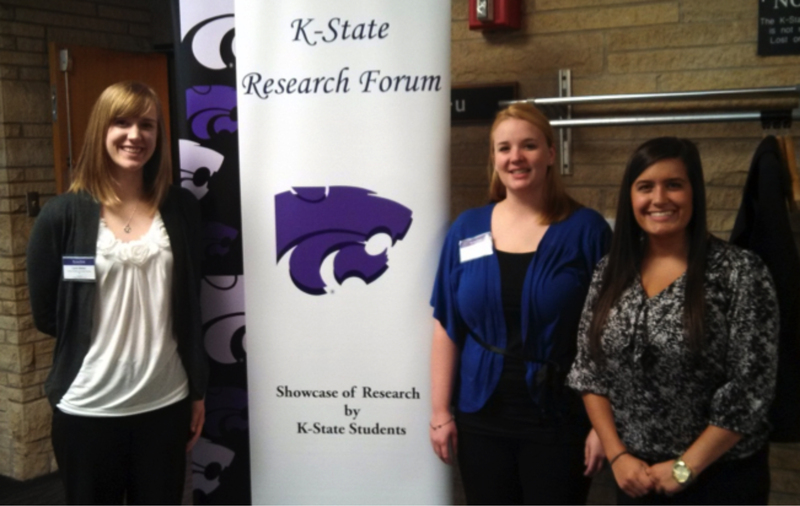 Research team project, Kansas State University, Manhattan, KS. 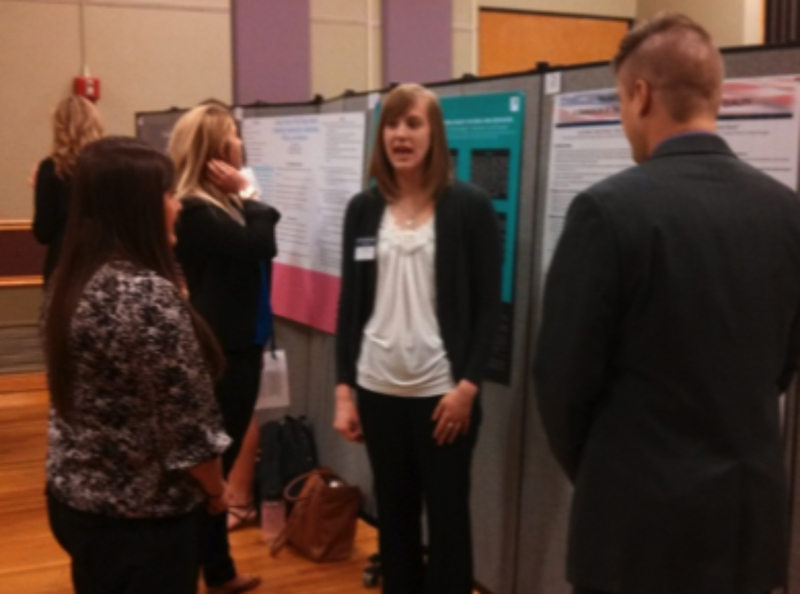 – Undergraduate research poster presented at the K-State Research Forum, Manhattan, KS. – Monk, J. K., & Nelson Goff, B. S. (in press). 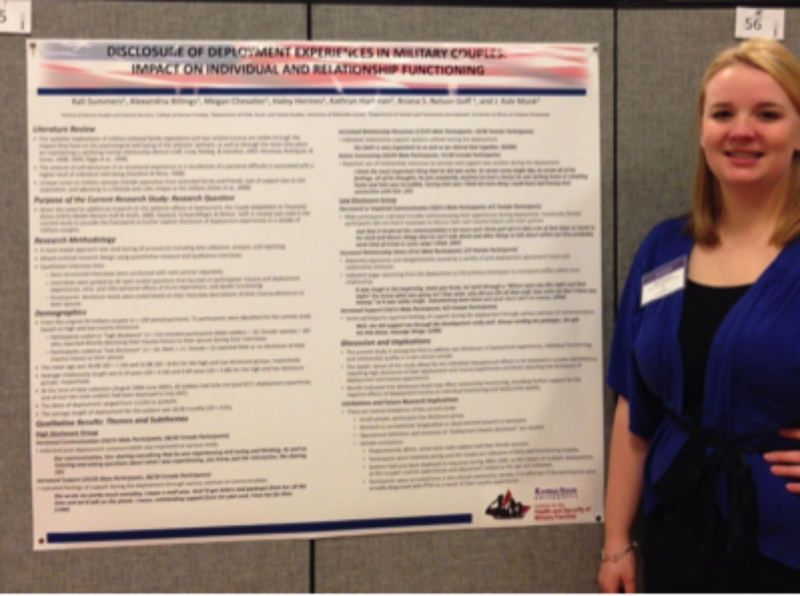 Military couples’ trauma disclosure: Moderating between trauma symptoms and relationship quality. Psychological Trauma: Theory, Research, and Practice. – Nelson Goff, B. S., Irwin, L., Devine, S., Cox, M., Orrick, K., & Schmitz, A. (2014). A qualitative study of single-trauma and dual-trauma military couples. Invited submission for a special section on dual trauma couples in the journal, Psychological Trauma: Theory, Research, and Practice, 6, 216-223. doi: 10.1037/a0036697. 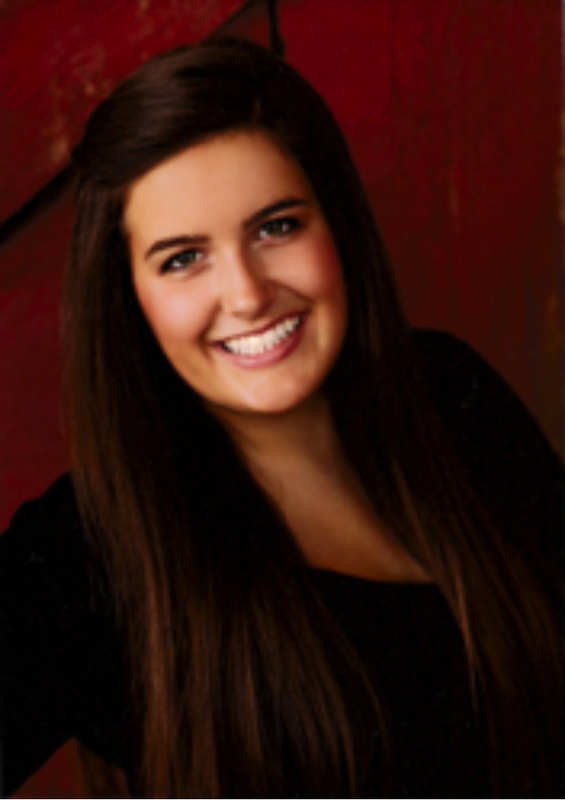 Devon Perkins was one of the Institute’s interns during the Spring 2014 semester. 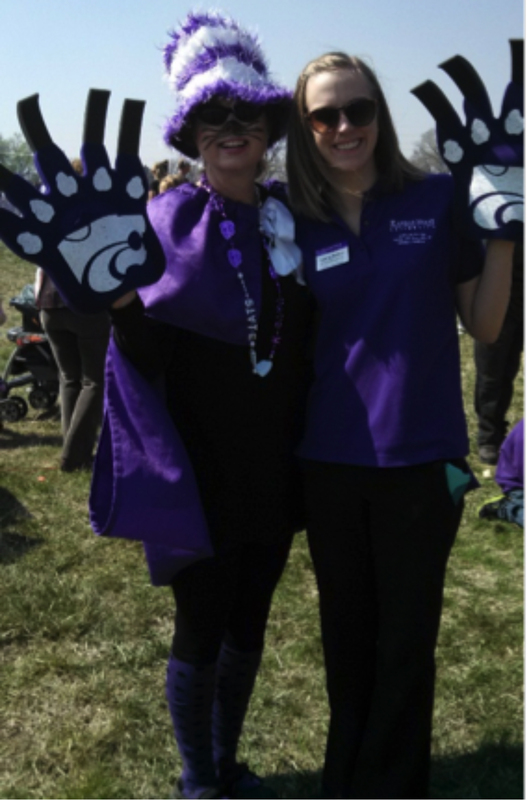 Devon graduated from K-State in May with a degree in Family Studies and Human Services with a minor in Conflict Analysis and Trauma Studies. Devon has been involved with the Institute since Spring of 2013. After graduation, Devon plans to pursue a Master’s degree in Marriage and Family Therapy at Colorado State University. 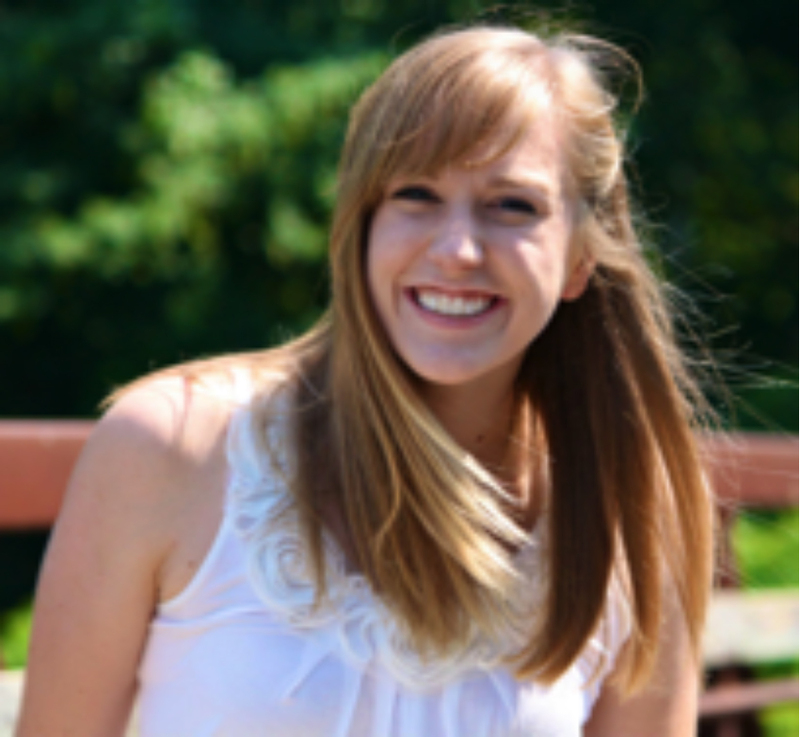 Laura Walker was one of the Institute’s interns during the Spring 2014 semester. Laura graduated from K-State n May with a degree in Family Studies and Human Services with a minor in Conflict Analysis and Trauma Studies and a certificate in Conflict Resolution. Laura has been involved with the Institute since Spring of 2013. After graduation, Laura will return to Kansas City to job search and explore different graduate and PhD programs to pursue. What do our Interns DO at the Institute? 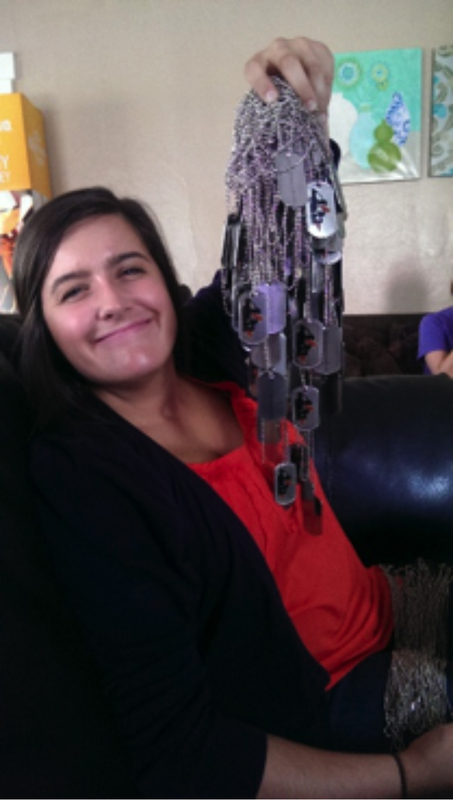 In celebration of Month of the Military Child and Purple Up! 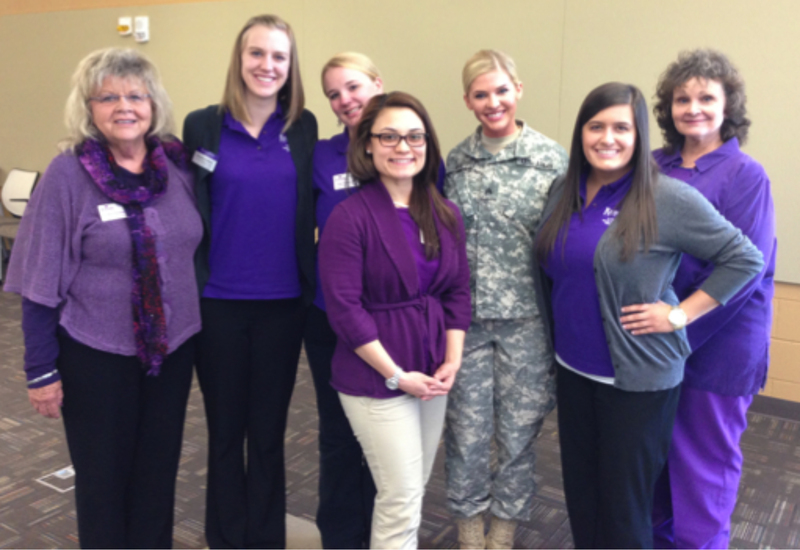 Day, the Kansas National Guard Youth Program hosted a professional development on April 15th, 2014 in Wichita, Kansas. Kansas: Operation Military Kids members attended the event along with many other professionals who work with military kids. This event included two guest speakers: Dr. Sameer Hinduja and SGT Theresa Vail. Dr. Hinduja, Co-Director of the Cyberbullying Research Center out of Florida Atlantic University, spoke about cyberbullying and safe networking. SGT Theresa Vail, Miss Kansas 2013, spoke in regards to advocating for anti-bullying. The professional development was free to attend, the only requirement was attendees wear purple in celebration of Purple Up! Day for military kids. Kansas: Operation Military Kids staff have been visiting the School Age Center and the Middle School/Teen Center on Fort Riley every other week. We have established relationships with the staff, so that we can be a future resource. We have provided the School Age Center and the Middle School/Teen Center with 4 boxes of Burpee Seeds, containing 100 packets each. Burpee Seeds are Welcome Home Gardens that military children can plant with their families. We also provided the Middle School Teen Center with 30 Kansas Garden Guides for their gardening club. Finally, we have provided a 4-H Health and Fitness curriculum, including jump ropes for the children to use. Starting in January 2014, we have been conducting support groups for military children at Theodore Roosevelt Elementary School and Lee Elementary School in Manhattan, KS. We have been focusing on physical fitness, gardening/planting, art, community and resiliency in these groups. On January 24th, we participated in Lee Elementary School’s Military Family Night. We had the Zoom Book Albums available for the kids to make. Using a computer program, the children were able to create personalized picture books! Parents participated in creating these picture books with their children. On April 29th, we participated in Theodore Roosevelt Elementary School’s Military Family Night. We were also able to have the Zoom Book Albums for the kids to make, as well as a parachute activity for the children.